"R3 always is responsive, eager to help, and will not rest until the results are perfect. I recommend Rob to many people and they in turn have told many others..."
We are a unique family-owned business comprised of a Home Computer Support Division and Media Preservation Services Division. As an alternative and convenient solution to the high priced computer repair services currently in the marketplace, we cater to the home user who requires high quality service at a reasonable price. R3 Consulting's Media Services offers services to preserve and share your most treasured memories by scanning your photos and slides to a digital format and converting your videos to DVD. The home computer division offers the client the complete opposite of those big home computer support companies that are currently found in the marketplace. We provide exceptional and personalized service at the most reasonable prices. We take away the frustration, fear, and technical mumbo jumbo that can accompany technological problems and offer a support service by people who will treat your computer and issues as if they were their own. We go above and beyond to make sure your home computer experience is the most enjoyable and frustration free one it can be. The Memory Keepers Division of R3 Consulting was formed to answer the question, "What do I do with all these old pictures, slides, and videos?" 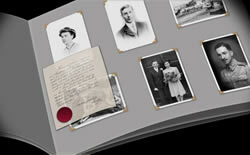 We provide the following services: BULK PHOTO & SLIDE SCANNING and VIDEO TO DVD TRANSFER. Getting your media digitized is not only a great way to revisit your media in an easy to view format, but it is also extremely important as Photos/Slides/Videos degrade over time. 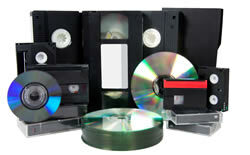 Click here for more information on “Why” scanning your media is important. Not only can R3 Consulting's digitize your photos/slides/videos, but we can take those memories and create an amazing and unforgettable custom photo slideshow set to music. Slideshows make great gifts and are perfect for special events like birthdays, anniversaries, engagements, weddings, funerals, etc. See a few of our sample slideshows from different events and call R3 Consulting to discuss your project. We guarantee this will be an impressive and cherished memory! » Which Antivirus Program is Best? » Is your Data Safe? Backup Recommendations!